JAKARTA: Malaysian palm oil producers should heed the case of Sinar Mas Group where claims of forest destruction committed by its palm oil unit, PT Smart, led international consumer companies, including Unilever, to stop buying palm oil from the company, said environmentalists. According to Greenpeace, Malaysian palm oil producers operating in Indonesia could suffer the same fate if they did not practice sustainable palm oil production. “What happened to Sinar Mas can also happen to Malaysian companies who own about 30% of the palm oil companies in Indonesia,” said Bustar Maitar, Greenpeace South-East Asia forest campaigner team leader. Unilever told StarBiz yesterday they would not be resuming purchase of PT Smart’s crude palm oil (CPO) for the time being. “We would like to see additional measures to be taken to ensure sustainable palm oil production,” Sher Afzal Masari, Unilever corporate relations director for Asia, Africa, Middle East and Turkey, said. “We would also like GAR to set a target date for the certification,” Masari added. Greenpeace’s claims that Smart was destroying forests and peatland had led Nestle SA, the world’s largest nutrition and food company, Unilever, the second largest consumer goods company as well as Kraft to halt multi-million contracts with Smart. “Large consumer companies like Unilver, Nestle and Kraft do not want to be associated with forest destruction in Indonesia, Malaysia and anywhere else in the world,” Maitar added. Unilever said it would also like GAR to operate more transparently and make publicly available a list of their forest concenssions and where they are planted. “Sustainable palm oil is the way of the future and it is a requirement for any long-term supplier,” said Masari. “Sustainable palm oil is also good for the sustainability of the palm oil industry, for all stakeholders and the wider public in Indonesia and Malaysia,” said Masari. 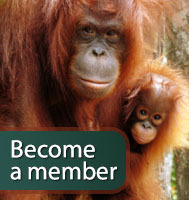 Unilever aims to be have 100% certified sustainable palm oil supply by 2015. “And we are on track to achieve that target. By the middle of this year, we already have 35% RSPO for our supply,” said Masari. At the end of 2009, 15% of Unilever’s CPO was RSOP. That amount comprised 80% of the total global RSPO supply. Last Friday, Smart image took a further dent when independent auditors hired by the company to investigate Greenpeace claims announced the firm had “misreported” elements of its report when it declared itself largely free from wrong doings. An environmental consultant said Sinar Mas’ woes with Greenpeace should not be viewed as a public relations war but an opportunity to investigate what is happening on the ground. “Palm oil companies should not view the NGOs attacks on them as just another PR war,” said Rezal Kusumaatmadja, partner of Starling Resources. Starling Resources is an independent sustainable natural resource management consultancy. “Instead, they should treat the criticisms as an opportunity to examine what is really happening on the ground and find ways to improve the situation,” he added. Sinar Mas started off on the right when they appointed independent auditors. “But instead of addressing the problem identified in the audit report head on, they resorted to a panicky PR spin. “Relying on too much on spin with little concrete follow up actions will cost them their credibility,” said Rezal.